We’re happy to announce the release of NextGIS Formbuilder – our new desktop application. 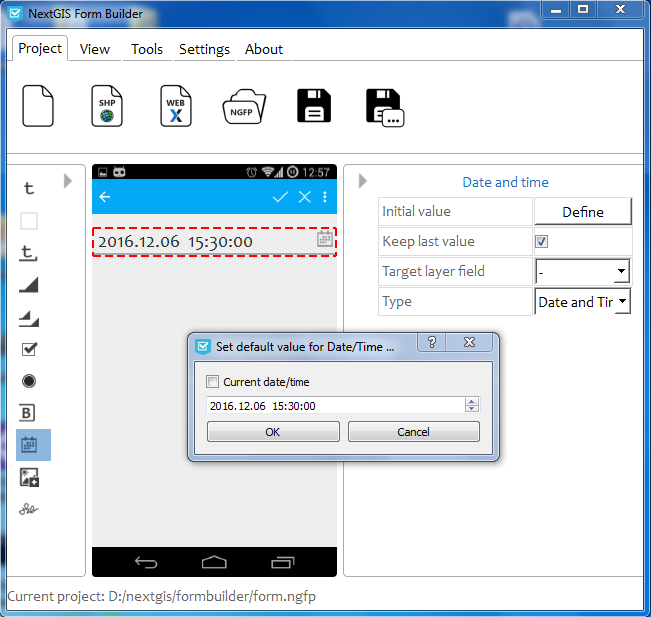 NextGIS Formbuilder is used to create and modify data collection forms for the mobile devices. 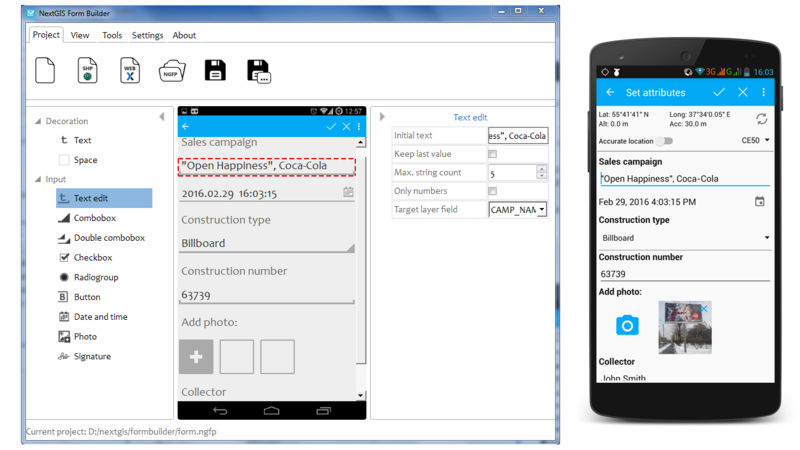 If your company needs to collect georeferenced data “in a field”, and you want to provide your collectors with simple and handy tools, than our Formbuilder is for you (more about field data collection). 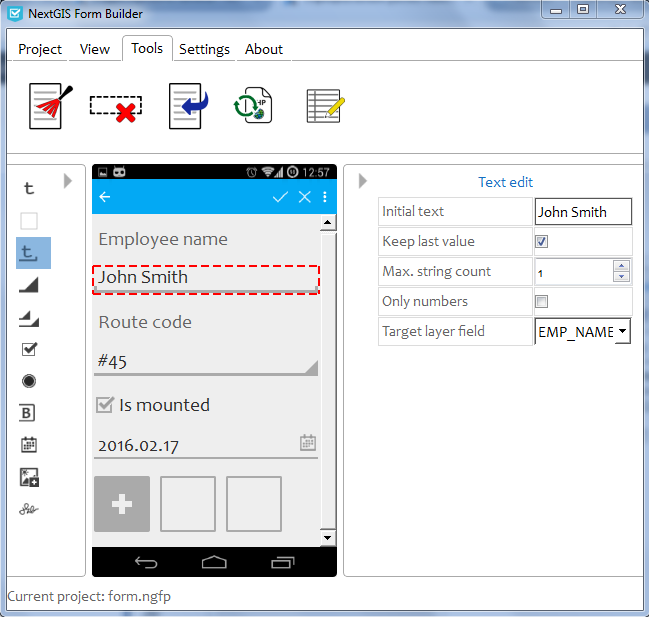 NextGIS Formbuilder is also a starting point to work with our mobile GIS – NextGIS Mobile. With NextGIS Formbuilder you can easily add elements to the form, customize their appearance and behaviour, and finally connect them to the attribute table of the underlying data layer. Here we would like to introduce some of the important features of NGFB. You can find full documentation and user’s guide at the official documentation page (currently only in Russian). We are working on increasing number of supported elements and their parameters. Here are few examples in more detail. 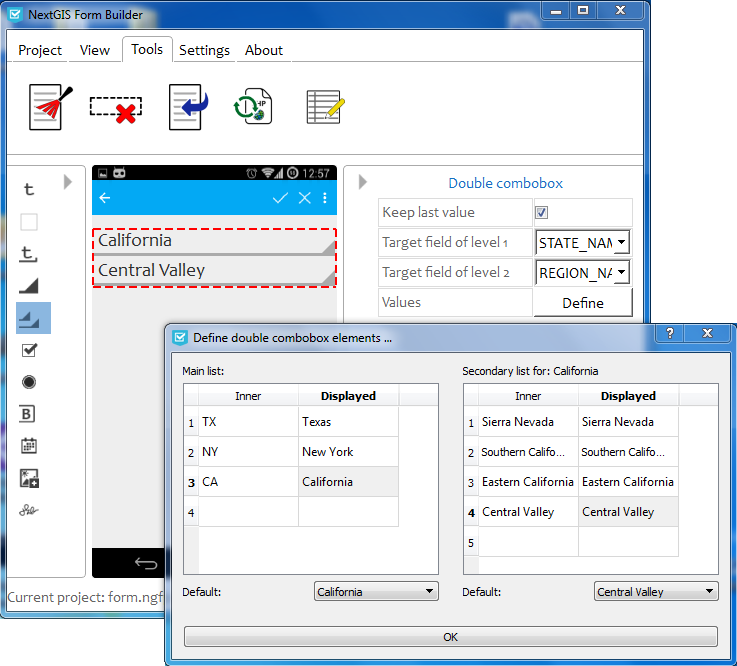 whether to remember the last value – the form will automatically put the last entered value to this element when it will be opened to gather information about the next object. It can be helpful for collecting a large amount of data with repeating values. Double combobox. Using this element the user can select two interdependent values from comboboxes. Set of values in the second combobox depends on the first (master). Also you can define two different values for displaying in the form and for putting into the underlying layer which can be useful when different employees create forms and collect data. Date & Time. Date, Time or Date+Time value types. You can define initial value: to use the current date or custom. NextGIS Formbuilder also features “Fields manager” tool which can be used to edit a set of fields of the underlying layer of the form. You can add new or delete existing fields, and it doesn’t matter which type of layer was selected at the form creation step. 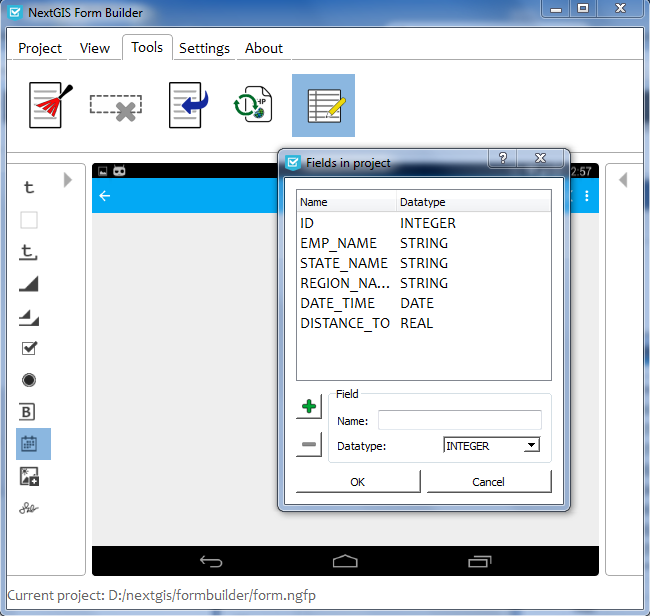 We have great plans for NextGIS Formbuilder development and we are looking forward to a feedback. If you have a data collection project, contact us! We are interested in participation in field data collection projects.